Five years ago (good lord where does the time go) I posted a recipe for Whole Spelt Pie Crust. After making said crust for every year since I figured it was high time for a bit of an update. 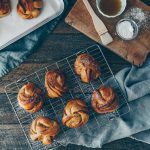 Over time, I’ve worked out that coconut oil is better for this crust when it’s a touch firmer, so there’s a bit of extra detail about how to get it right when it’s hot in your kitchen. I’ve found adding some extra water is better too — and I’ve refined the refrigerate and roll times because coconut oil is a terribly tortured soul and one must bow to its demands. 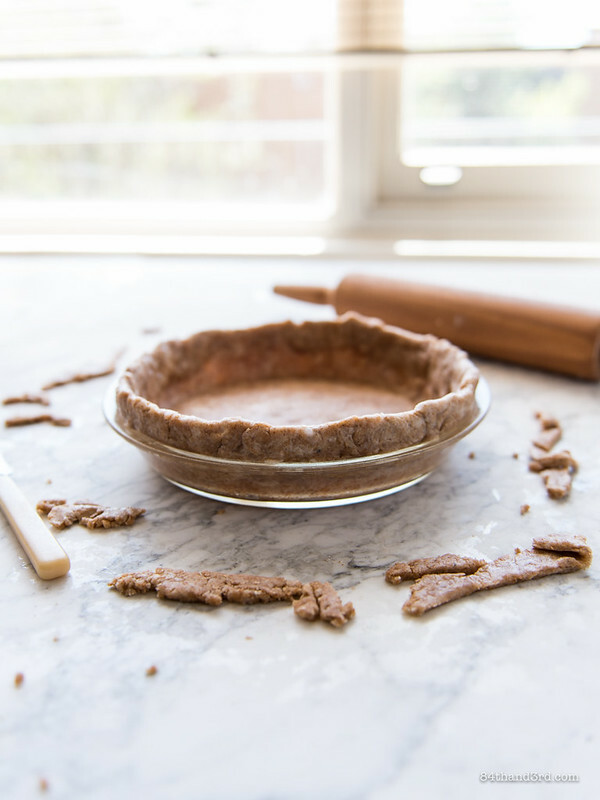 The taste is still the same… Flakey as any good pie crust should be. Hearty in a way that stands up to pie filling but doesn’t hijack it. Rich in a way that makes you want to eat the crust on it’s own as well as covered in custard or fruit or nuts — and that’s a big call from someone who can’t really be bothered with traditional pie crust and appears to be on a never-ending quest for any pastry other than the classic white flour and butter shortcrust kind! 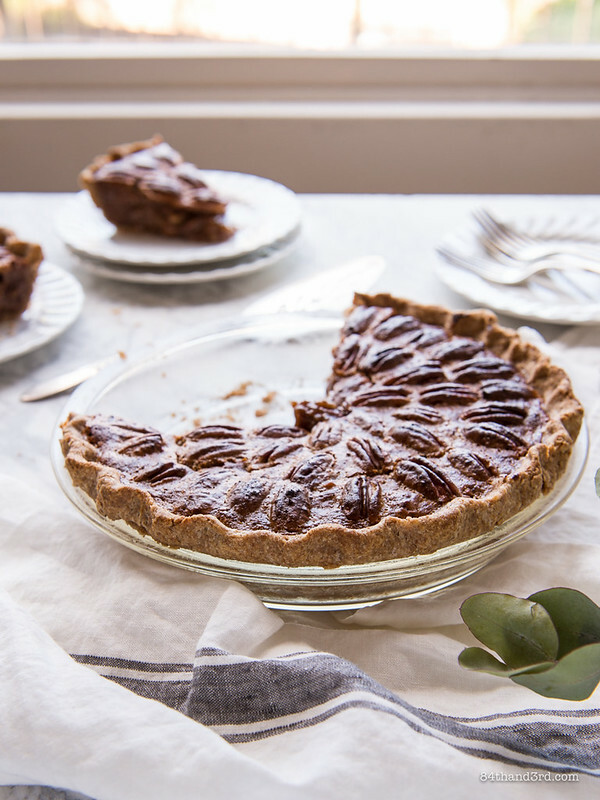 In any case, I’ll be making this crust to fill with Pecan Pie and Pumpkin Pie for Christmas Day — and probably many times after that for fruit pies this summer. 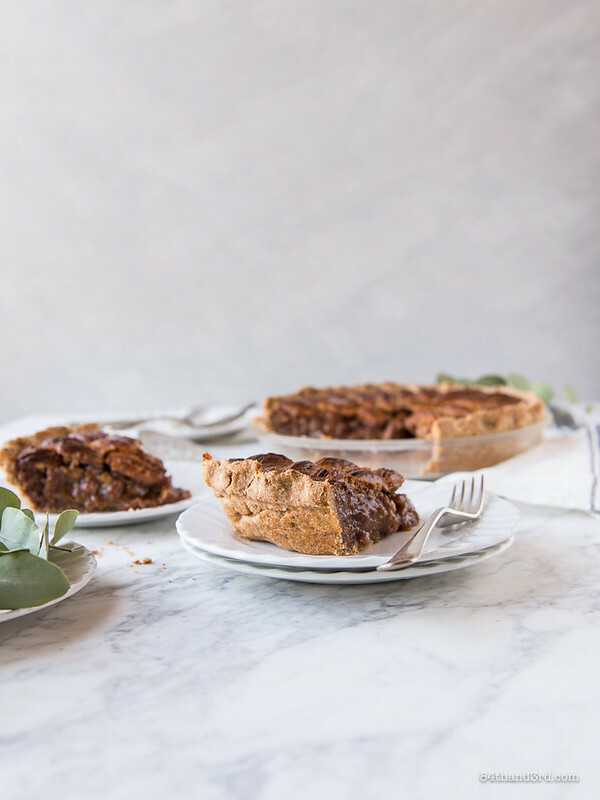 There may even be a Concord grape pie hack for those who can’t get real Concords or simply don’t want to wait for the crazy short season — but that’s another pie for another day. 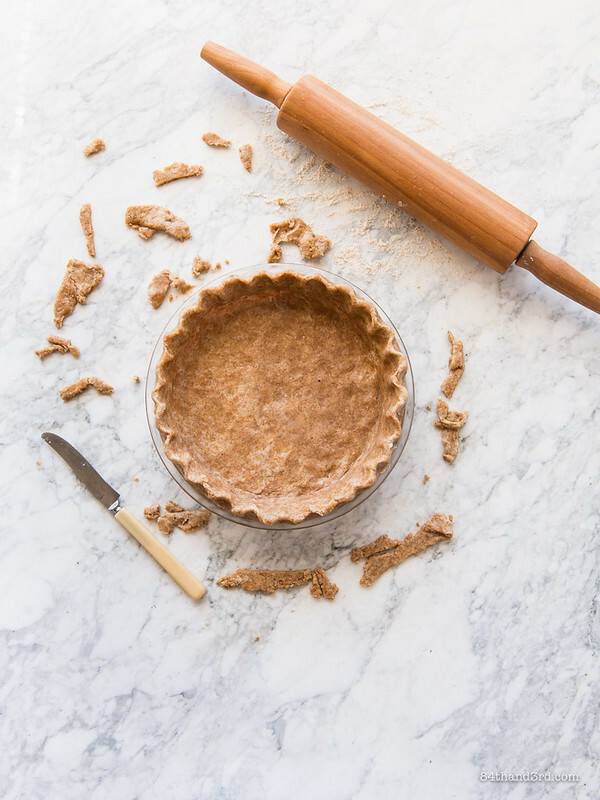 Flakey, rich, hearty, this pie crust stands up to any filling around. The fact that it’s vegan and lower in gluten is just the cherry on top. Great, now all I can think about is cherry pie — ha! Prep note: If it’s winter your coconut oil should be fine as-is, simply scraping it out of the jar with a spoon will break it up enough to use. In summer (or if you keep your heat up really high) you’ll need to firm it up first. Place coconut oil in a wide bowl — like a cereal bowl, to create lots of surface area — and refrigerate 30 minutes for melted oil, or about half that for gooey oil. Stir well, scraping the oil off the sides of the bowl into the centre. Refrigerate a further 20 mins or so and stir again. The oil should be reasonably hard but not so solid that it could break a window. 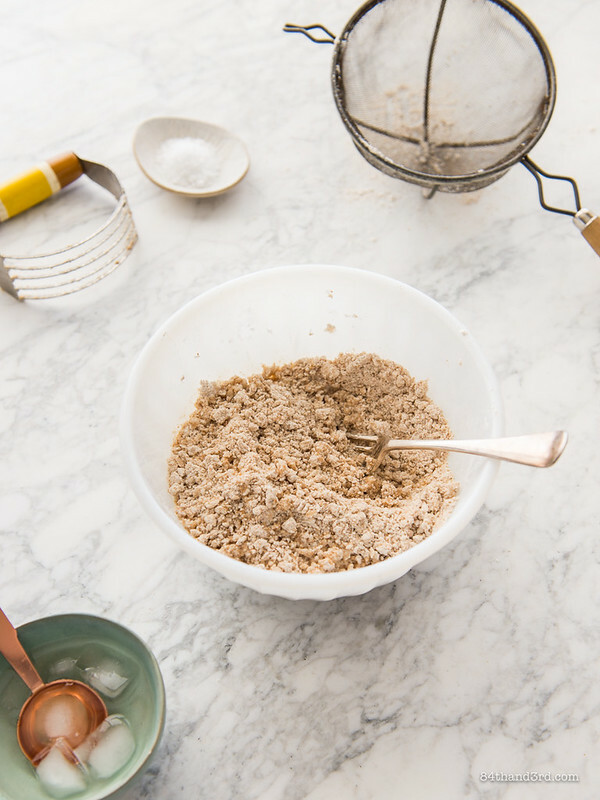 Mix together flour and salt in a medium bowl. 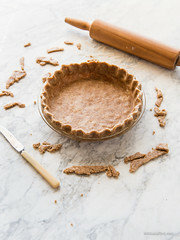 Add semi-solid coconut oil and cut in with a pastry blender, or two knives, until mixture resembles coarse breadcrumbs. 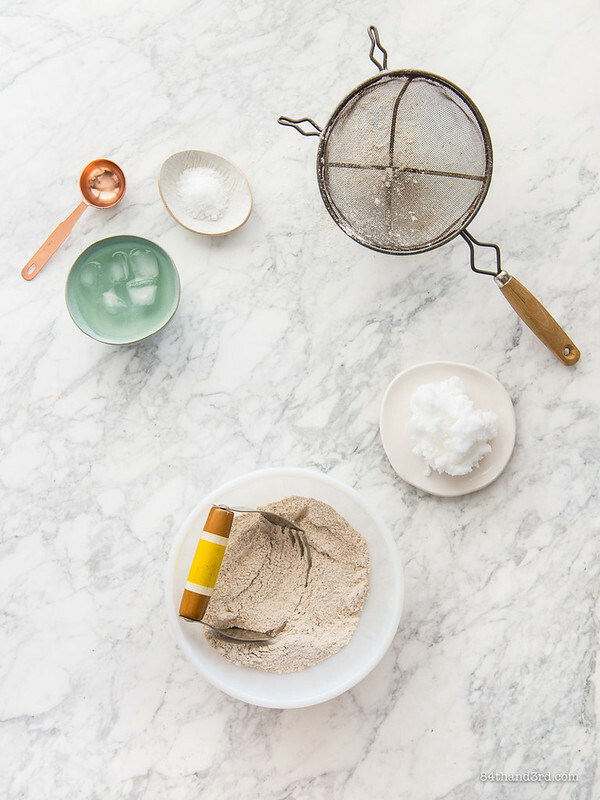 You can also use your fingers to rub the solid oil into the flour. A few small pea-sized pieces of oil are ok, any more or any larger won’t work well. 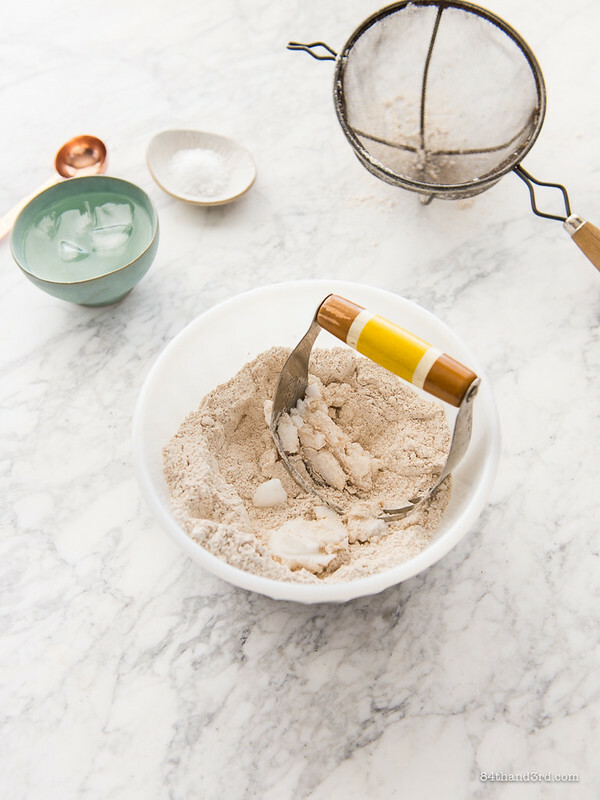 Drizzle 1/3 cup ice water into the flour and toss with a fork until flour starts to clump. 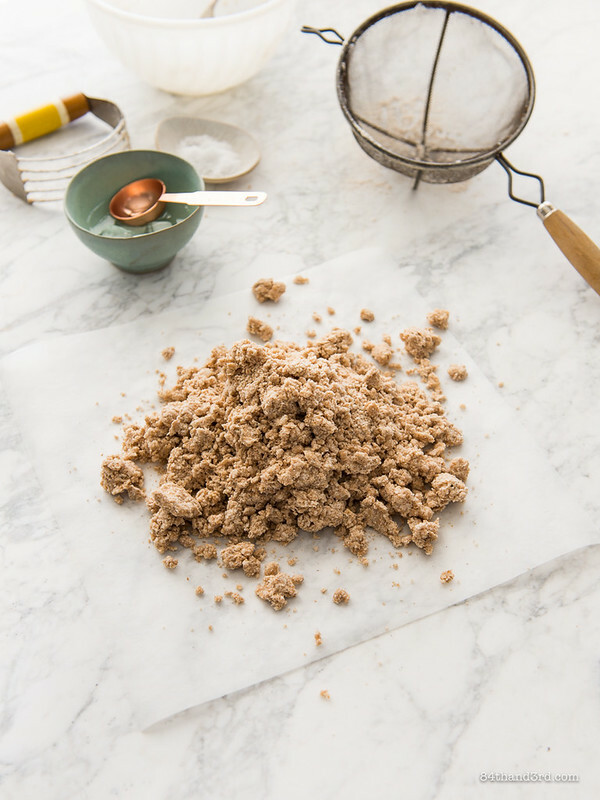 Pinched between your fingers the dough should stick together but should not have any overly wet spots, if there is a lot of dry flour still in the bowl add the final 1 Tbsp water and toss again. 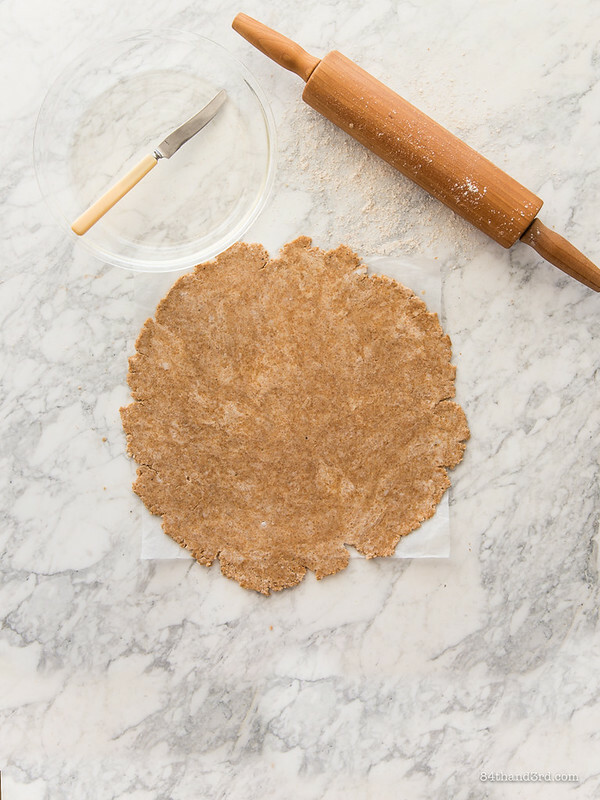 Tip dough out onto a piece of baking paper and press together with your hands. Wrap in the paper and refrigerate 30 minutes, this allows the flour to absorb the water properly and the coconut oil to firm back up a bit. 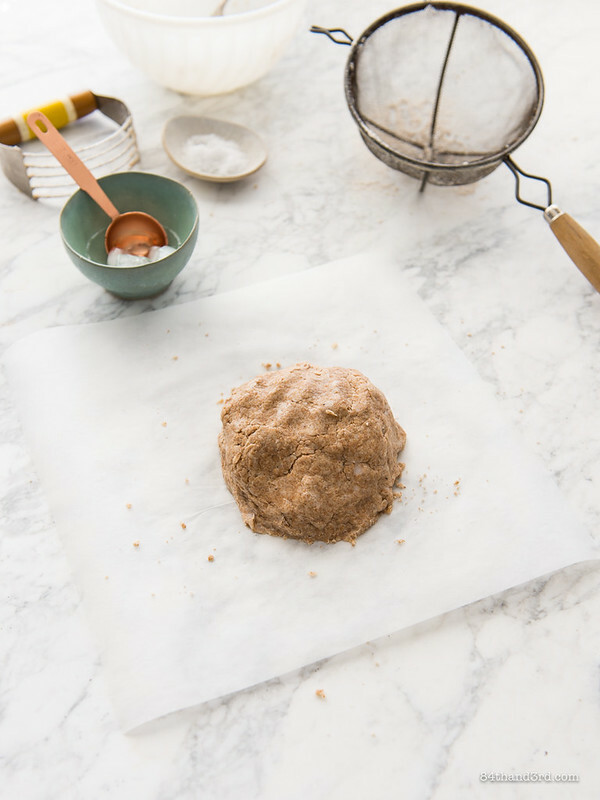 To line your pie plate, roll out dough on baking paper or a pastry cloth dusted with a tiny bit of spelt flour. Place plate upside down over the crust and trim the rough edge — leave as much extra as you can for the time being. 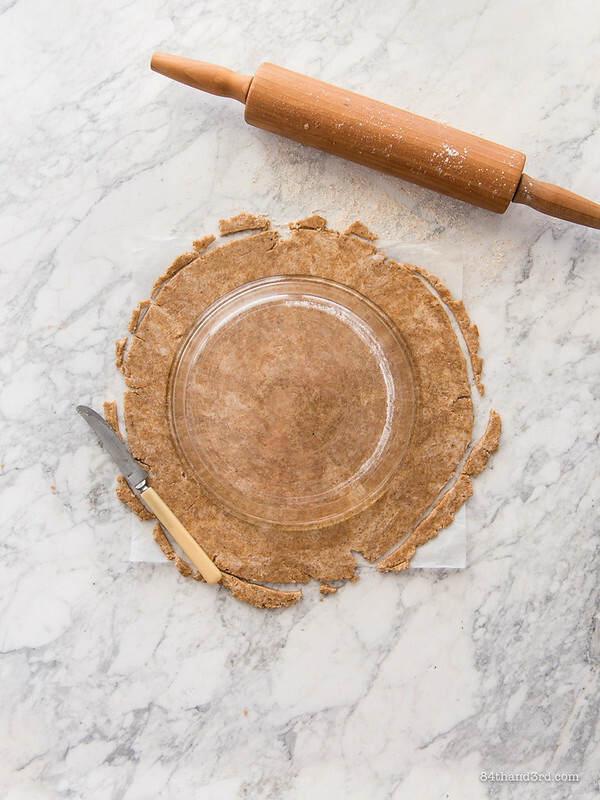 Roll crust around your rolling pin and unroll into pie plate. Gently ease into sides without stretching and trim again if there are any bits overhanging more than an inch or so (2 cm). Fold extra under to create a lip and pinch to seal. 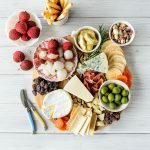 Crimp as desired and refrigerate (15 mins minimum) while you prepare your filling. You can prep to this point in advance, then cover in plastic wrap and store in fridge for a day or so until required. Fill and bake as required for your pie recipe. 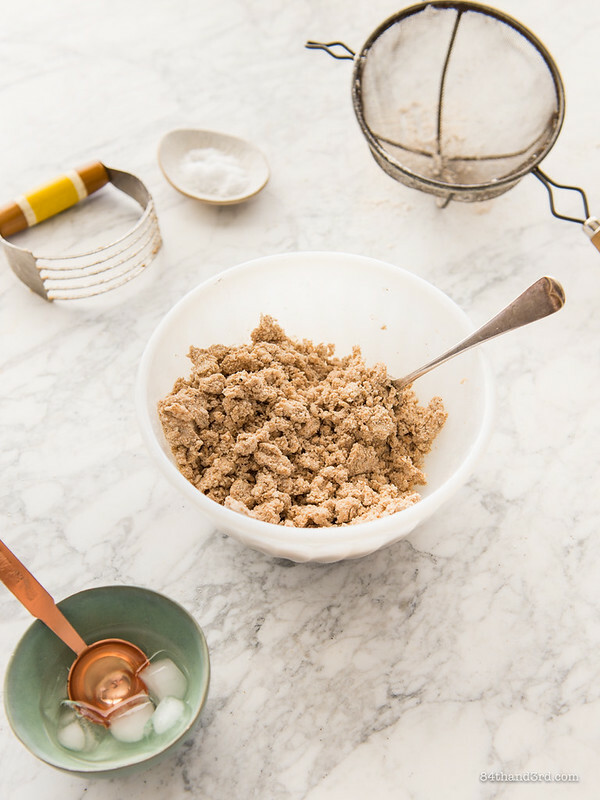 If using for a no-bake filling: Preheat oven to 180°C/350°F. Remove crust from fridge, line with baking paper and fill with weights (or beans). Bake 10 – 12 mins until edge is starting to turn golden, remove paper and weights and bake a further 5 mins. Alternatively, prick refrigerated crust with a fork and bake approx 12 mins until golden. 30 mins refrigeration is all this dough needs before rolling. Much longer (or overnight) and it will end up reasonably solid and will crack pretty badly as you try to roll — coconut oil is not nearly as elastic or forgiving as butter or shortening. If you do have to make it in advance let it sit out at room temp for 30 mins to an hour (depending on the arctic or equatorial nature of your kitchen) before you roll. If using mls as a measurement for your ice water, start with 80 ml. Also, 4 AU Tbsp = 80 ml; 5 US Tbsp = 75 ml. 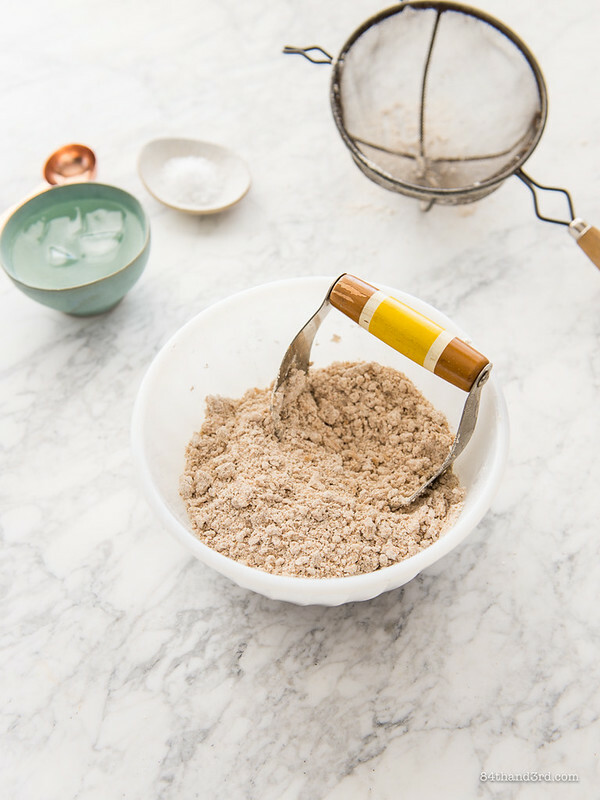 Using the final Tbsp (whether AU or US matters little) will really depend on the humidity of your flour. Yes, really. 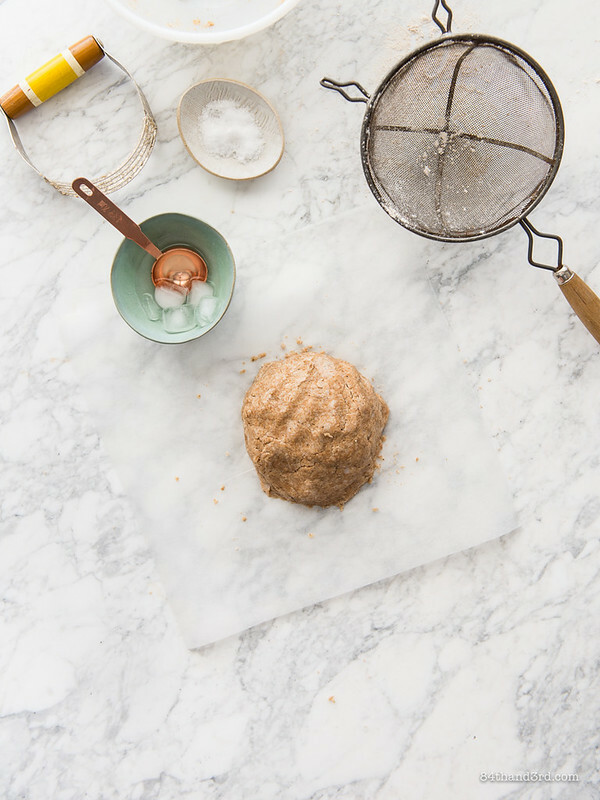 Too much water creates a tougher crust, too little and you’ll have one that simply falls apart — but remember that spelt has way less gluten than white flour though so a bit of extra water to hold it together won’t hurt. This sounds pretty amazing, and I love the color of the crust! 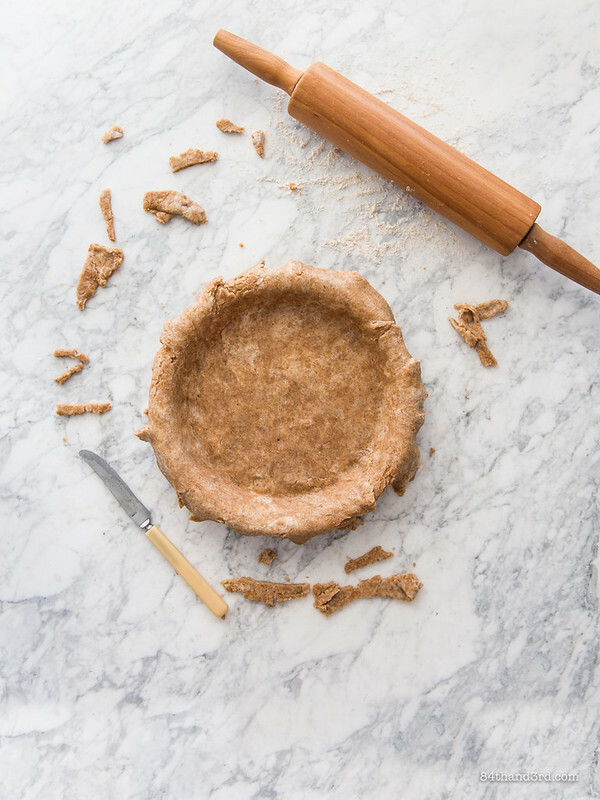 I don’t bake pies very often, but intend to try this crust on my next adventure…. Wonderful, thank you. It is a bit colder today in the mountains and so i was in a hurry to make a spelt savoury lentil pie. Saw your recipe and just put it together. I even thinned out the pastry and made a lid for the pie and baked it for a bit longer. 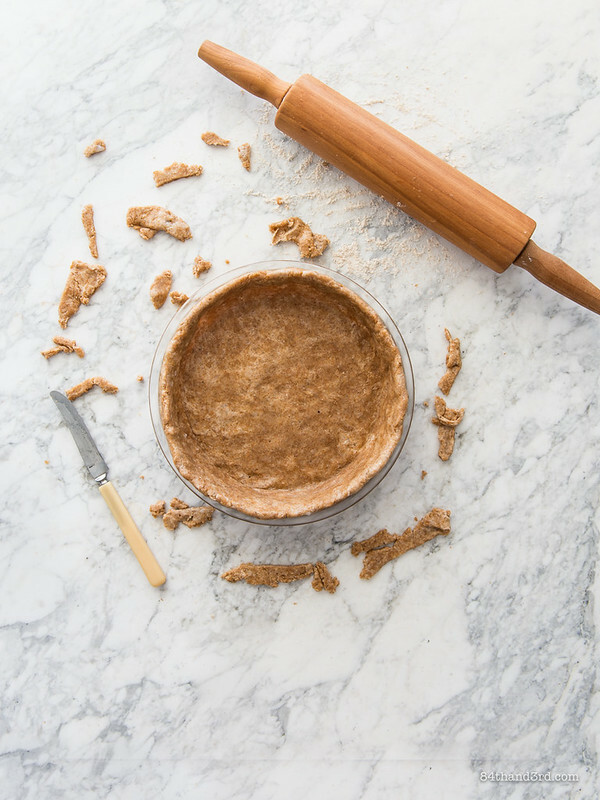 I made the pastry using a mixer with pastry blades – never used them before, and a bit of my hands to help it along and just poured in the water. Popped it in the fridge while i had a shower etc and then pressed out the base, filled it and added the top. 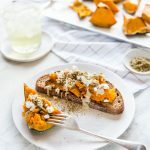 It is so healthy and I will adapt this for savoury and sweet. 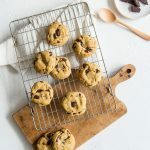 Where is that pastry blender froM?